Dieser Beitrag wurde am 8. Mai 2017 von kubelick in Gelesen und besprochen, Wort des Tages veröffentlicht. Schlagworte: Gefühlsmaschine, Laszlo Moholy-Nagy. Dieser Beitrag wurde am 21. Januar 2017 von kubelick in Gelesen und besprochen veröffentlicht. Schlagworte: hemingway, Men without women. Dieser Beitrag wurde unter Gelesen und besprochen abgelegt am 4. Dezember 2016 von kubelick. There are some books you do not find, they find you. As the one I will review here. The book was a gift I received for my birthday from someone who knows my interests: physics, as this is what I studied, and the workings of the mind, or psychology, a faculty that I have been interested in since long. The book is a dual biography of two outstanding scientists of the 20th century: Carl Jung and Wolfgang Pauli, and how they met and worked together. The hardcover edition has roughly 350 pages, quite a lot of illustrations and eight pages with reproductions of photographs in the middle. I would divide the book roughly in three parts. 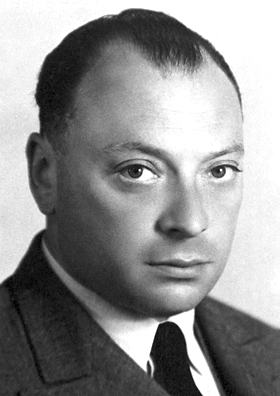 The first part is an entertaining description of the lives of Carl Jung and Wolfgang Pauli from the beginning of the century until the 30s, embedded in the development of quantum physics and psychology, with lots of references to other famous scientists from the epoch as well as from three thousand years of science that preceded. In that era fell two of Pauli’s most important achievements: the exclusion principle (Pauli principle) and the prediction of a new particle, the neutrino, discovered shortly thereafter. 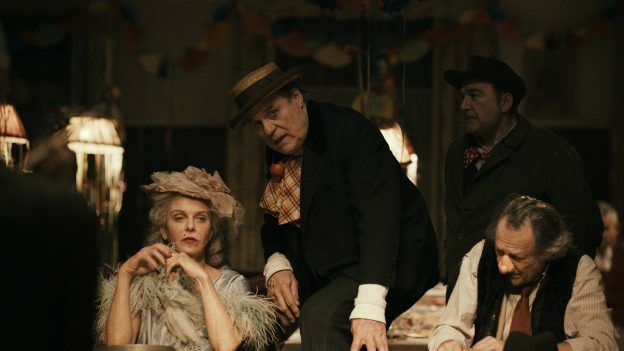 What was particularly striking to me was that Pauli, apart from being a pointed critic, led two lives: the day-life of a genius of his time, and a night-life spent drinking, whoring, fighting. It was the latter that brought Pauli to ask Jung for help, when he saw that his life started falling apart. Given that Arthur I. Miller, PhD in physics, is Emeritus Professor of History and Philosophy of Science at University College London, the first part is, sadly, also the best part. The second part is basically an enumerative description of the psychoanalysis of Pauli’s dreams by Jung. I mostly lacked the understanding of the references to alchemy, mandalas and symbolism, and did not find a proof for Jung’s interpretation of Pauli’s dreams being more than a best-guess ex-post explanation. I found the second part rather boring and I admit that I even skipped some sections. Nonetheless, Miller had spent quite some effort on working through the rich correspondence between Pauli, Jung and other psychologists, as well as what was left in terms of documentation. 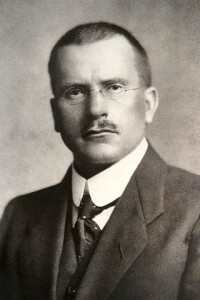 Certainly of value is the critical acclaim of what role Jung played for nazism. The third part mostly deals with the post-war era of quantum physics, cumulating in Pauli’s third achievement: the formulation of CPT invariance. Apart from that, it shows Pauli’s and others‘ fruitless efforts to derive the fine structure constant from first principles. The third part again is embedded in the history of post-war physics, making references to other great scientists of that time. Is the book worth a read? Yes, I would definitely recommend it. It can be understood by laymen both of physics and psychology, who do not allow themselves be let betrayed by the somewhat lurid title. The book is quite entertaining which helped me to get over the deficiencies in understanding Jung’s theories. Dieser Beitrag wurde unter Gelesen und besprochen abgelegt am 27. Oktober 2016 von gothbert. Die Grafikabteilung mühte sich an einer Brachialvisualisierung ab, um den komischen Aspekt des Themas bildhaft zu machen: Sprachbläschen eines gängigen Nachrichten-Apps sollten die sinnentleerten Vorschläge der unausgereiften Autokorrekturprogramme mit Humor begegnen, wo längst die Dadakomödie der autokorrigierten Nachrichten zu einer unerträglich tragisch-grotestken Farce, über die absurde Mühsal mit einem Scheißtelefon über Worte rumdiskutieren zu müssen, mutierte. Der Kampf mit dem Autokorrekturwerkzeug nimmt Zeit in Anspruch, die es des Werkzeugs Aufgabe ist zu sparen. Und leider ist es unmöglich, die Autokorrektur zu feuern, wie eine schlechte Sekretärin – »Tut mir leid, wir müssen Sie leider gehenlassen…«. Unten links druckte die SZ ein überschauberes Interview mit Kathrin Kunkel-Razum ab, das von der Duden-Hotline berichtet. Das ist schön. Bisher war es uns unbekannt, dass Duden ein Callcenter hat. Wir freuen uns. Aber was ließt man weiter: 1,99 Euro pro Minute (wahrscheinlich auch noch »angefangene Minute«). Stellt sich sofort die Frage: Darf die Sprachpflege etwas Kosten, also Luxus sein? Und wenn ja, wie viel? Unsereiner kann sich einen knappen Gespräch über ein Wort nicht Vorstellen. Und schon ist die Telefonrechnung ins Astronomische geschnellt. Das mit acht Mitarbeitern besetzte Callcenter deutet unmisverständlich auf den verschwindend geringen Traffic hin. Und wieso auch nicht? Inzwisichen wird gewischt statt gedacht, erahnt statt verstanden, fabriziert statt formuliert. Dieser Beitrag wurde am 11. Juli 2016 von kubelick in Gelesen und besprochen veröffentlicht. Schlagworte: Duden-Hotline.